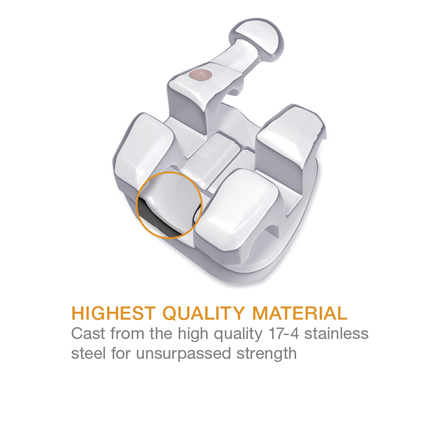 Cast from high quality 17-4 stainless steel, the Marquis™ Stainless Steel Bracket System is unsurpassed in strength and offers the following features and benefits. 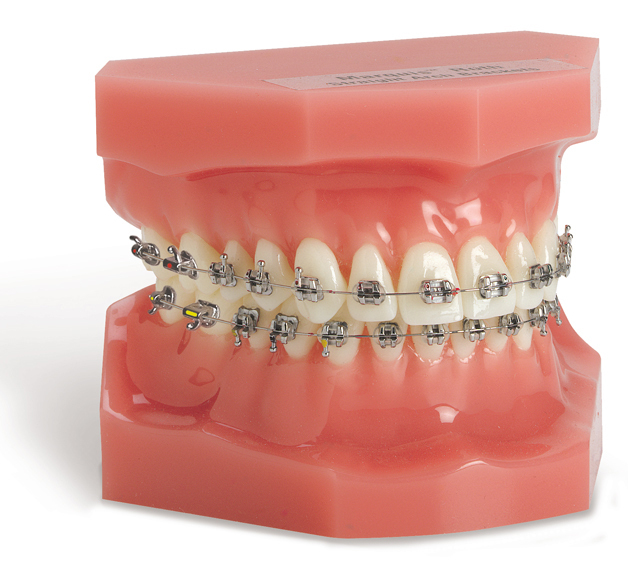 The Marquis™, bracket offers a true compound contoured bracket base with built in torque, angulation, and in/out dimensions. The archwire slots are chamfered for simple wire engagement. 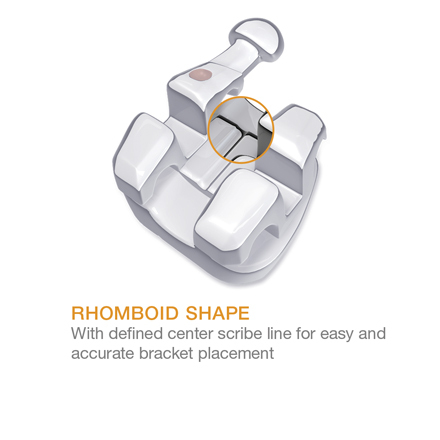 The Marquis™ bracket offers ample mesial distal width for rotational control and provides 40% more tie-wing area for easy bracket ligation. The lower incisors are beveled to prevent occlusal interference. The bicuspids have an extended base to provide a better fit and added retention. The primary retention employed by the Marquis™ Bracket System is achieved by a process known as “electrical-discharge-machining” (EDM). This process produces a micro etched surface on all sides of the pylon, as well as the under side of the base. The “pylons” act as miniature anchorage points which embed themselves firmly into the adhesive. Once embedded, the EDM surface of each pylon allows the adhesive to grip the bracket and securely anchor it into the adhesive. 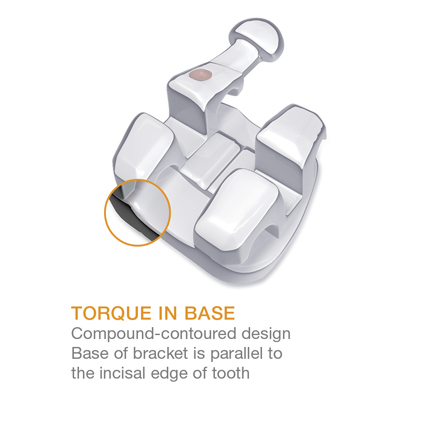 In addition to the mechanical retention of the EDM finish, the pylons are designed at an acute angle, relative to the torque-in base … thereby, generating geometric undercuts when bonded to the tooth. These undercuts serve to further enhance the retentive strength of the Marquis™ Stainless Steel Bracket System. 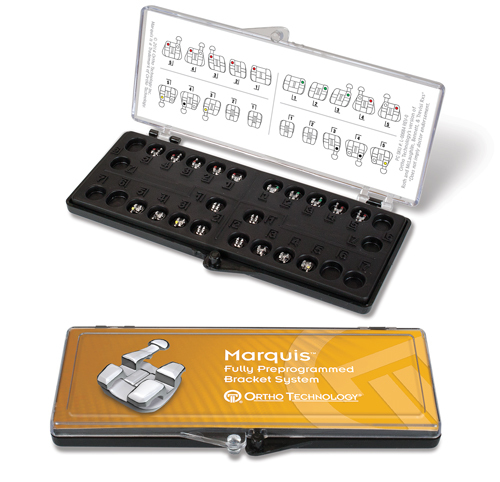 © 2018 Ortho Technology, Inc. Marquis is a trademark of Ortho Technology. 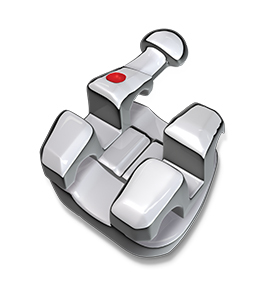 Mini Master is a trademark of American Orthodontics.